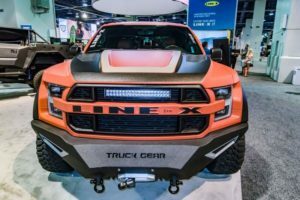 Line-X, leader in performance automotive coatings and custom car concept vehicle builder, Kenny Pfitzer joined to enhance the 2017 Ford Raptor for this year’s Battle of the Builders at SEMA in Las Vegas. So, what happens when extreme meets extreme? A vehicle that looks like it came straight out of a Transformers movie! The team at Zero to 60 Designs enhanced the Raptor with custom body features including front and rear bumper and grills, along with modified quarter panels making it even wider than the stock. 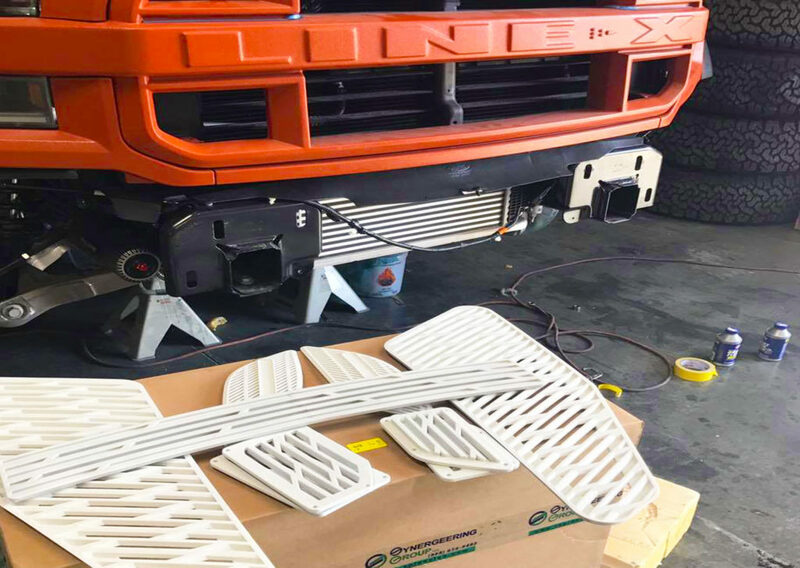 To fit the “extreme” standards on this custom project, Zero to 60 also worked with the team at Synergeering Group to 3D print the front and side grills with no other than their extremely durable GF-Nylon material. The Raptor is also coated entirely with Line-X ULTRA to take its protection to a whole new level while at the same time gain attention with it’s extremely unique look!